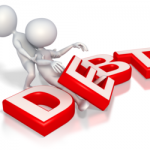 It is just as important for debtors to have strategies for protecting their valuable assets from potential creditors, as it is for creditors to have techniques for collecting debts. And, just as creditors must follow the laws and regulations that govern their debt collection practices, debtors must be sure that their asset protection strategies do not cross the line into fraud. 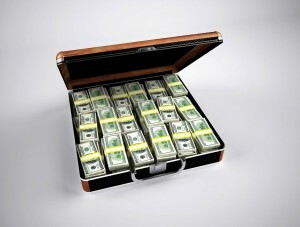 The biggest concern in deciding when to start asset protection planning is avoiding the appearance of a “fraudulent transfer.” With the help of an experienced and knowledgeable asset protection planning attorney, you can avoid the pitfalls that can get you in trouble, while properly protecting your assets for you and your family. There are various techniques that can be used to provide asset protection, but only before a creditor’s claim or other financial liability arises. The transfer of assets after a claim has arisen will likely be viewed as a “fraudulent transfer.” The most common example of these illegal transactions is when a debtor tries to “sell” everything to a relative for little, just to keep that property out of the reach of creditors. Many clients believe that the worst that will happen is a judge will undue the fraudulent transfer, leaving the client no worse off than before. This is not the case. Both the debtor and the person who assisted in the fraudulent transfer (i.e., the one who received the property) can become liable for the attorney’s fees the creditor incurs in collecting the debt. What is the best way to protect assets early on? 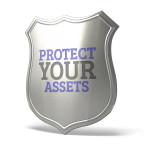 Asset protection requires examining the nature and value of the assets you own and rearranging them in a way that will maximize their protection from any form of loss. The purpose of asset protection is not to evade taxes or defraud creditors. It merely allows you to prepare for financial situations that could occur, in order to help preserve your estate for the benefit of your family. One of the most common estate planning tools for accomplishing this goal is a trust. 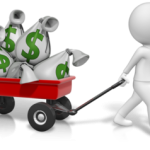 When assets are transferred to a trust, they are effectively removed from your estate. As such, when you die, those assets are not subject to estate taxes. There are many types of trusts, each with its own benefits and tailored to meet different needs and goals. Discuss all of your options with your estate planning attorney to determine what best meets your needs. 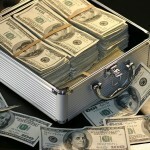 Trusts are for the protection of personal assets. However, if you also have business assets, those need to be protected by a business entity, such as a partnership or limited liability company. If you have business assets, you should also discuss those with your estate planning attorney, to determine the best business planning strategies for you. If you have questions regarding when to start creating your asset protection plan, or any other estate planning needs, please contact the Schomer Law Group either online or by calling us at (310) 337-7696.